A strong-willed couple is at the center of "Stanley and Barbara"
“Barbara and Stanley: A Modern Romance” is a fascinating exploration of the forty-year long-distance romance between Barbara Flood and Stanley Dorfman. The short documentary film marks the first collaboration between director Rachel Fleit and editor Sloane Klevin. It was co-produced by Killer Films Media, where Fleit serves as Creative Director, and Union Editorial, where Klevin is Partner/Editor. 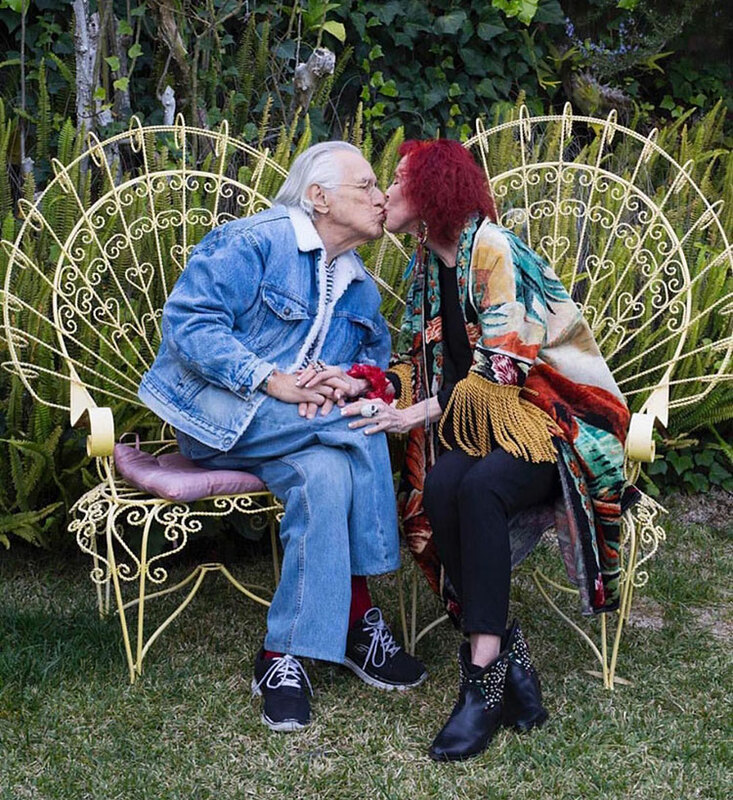 For more than four decades, Dorfman and Flood have been in a relationship, despite never living in the same time zone. Dorfman, a film director, producer and co-creator of iconic British music show Top of the Pops lives in Los Angeles; former actress/model turned stylist and interior designer Flood lives in New York City. The documentary premiered on Nowness.com March 24. Union Editorial has offices in Los Angeles, New York, Austin, and London, where it maintains an alliance with Marshall Street Editors. The company also develops and produces original content, in partnership with Killer Content companies through its Union Entertainment Group banner. Other Union companies include Platform, a creative and advertising solution for the gaming industry; and Resolution, a visual effects boutique specializing in commercials, features and gaming. Union is presided over by Partner/Managing Director Michael Raimondi and Partner/Executive Producer Caryn Maclean. The Union roster is comprised of Partner/Editors Jim Haygood, Einar, Jay Friedkin, Sloane Klevin, Marco Perez, and editors Nico Alba, Jinx Godfrey, Nicholas Wayman-Harris, Rachael Waxler, Daniel Luna, Jason Lucas, Paul Plew, Ben Longland, Laura Milstein, Eric Argiro, Karen Kourtessis, Zach Kashkett and Andrew Doga, as well as select projects with Tim Thornton Allen and Phil Hignett. Killer Films Media is the digital content division of Killer Content. Killer Films Media creates short form digital content for brands, organizations and movements for social change. Recent clients include: Cadillac, UBS Bank, Mackage, Ohlin/D, Kate Spade and Conde Nast. Under the leadership of Creative Director Rachel Fleit, who has been creating content for luxury and lifestyle brands for a decade, Killer Films Media gives brands direct, high-level, and efficient access to the world’s best storytelling talent, producing for multiple platforms to create highly engaging content. Every member of the Killer team has spent a lifetime telling stories: stories for moviegoers and television viewers, stories for voters and investors, stories for consumers and critics. Stories with purpose and passion. Killer Content is a media and technology company producing award-winning, multiplatform entertainment with a curated group of storytellers and brands. The company is comprised of Killer Films, Killer Films Media and Killer Impact. Combined, Killer’s properties have earned 75 Oscar, Emmy and Golden Globe nominations, most recently for STILL ALICE, starring Julianne Moore, and CAROL, starring Cate Blanchett and Rooney Mara. Past films include BOYS DON’T CRY. The upcoming Killer slate includes the feature film WONDERSTRUCK, based on the novel by Brian Selznick, the Amazon television series Z: THE BEGINNING OF EVERYTHING, and ONLY EVER YOURS, being adapted from the award-winning, international bestseller.